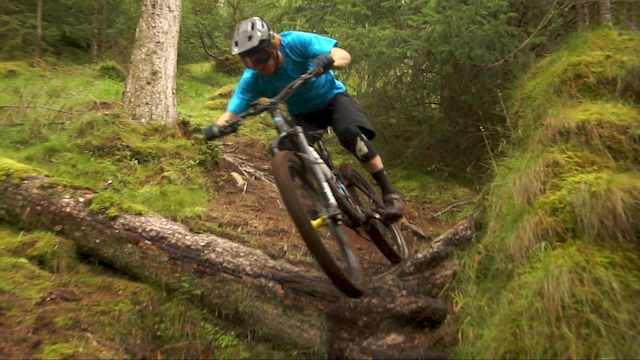 Liam Moynihan and James Shirley tackle a big muckle day at the end of summer in Fort William. Ramshackling all the beautiful (fairly) dry ruts and venturing to the high open hill sides before things start to get chilly and wintery. Soon these trails will become soaking mud bog delights. Randy is indeed a true wildman! @kingfluther Hear that? 10 press ups for every minute you are late? Says he who was 4 hours late one day cause he lost his keys ???? @kingfluther: OOOOFFFFT 2400 press ups for 4hours late would need to be spread out over a period of days I reckon! No dude, the chain is on the left side because it's Australia and everything's upside down. I see what you mean... But don`t understand how the drivechain is on the left in some of the vid... Confused? Hahaha! Eagle eyes, I wasn't sure if anyone would notice! Mirror imaged a few clips to see if i could confuse the other locals on which bit of trail it was! @dudesofhazzard: haha what a legend! When a scotsman is cold... you know its cold! Very envious of Scotland's 'right to roam' law. A lot of those paths/trails would be designated 'footpath' down here. I'd have some epic rocky descents nearby if it wasn't for the fine I'd get half way down. Sweet video. You boys are just lit everywhere. And he found his gloves! YESSSS! The delight was so high I forgot to get a clip of finding them!! The Tesco socks delivering the goods. But no Tesco gloves available! Awwww. Cant beat a fine pair of Tesco Sport socks! Very cool! Looks like a blast, and some cold hands haha. Sorry what. I can barely do 10 push ups! 160, no one could ride after that. Just think, you'll either never be late again or you'll just become a beast! It's win win. That did look like a muckle day out, ken!